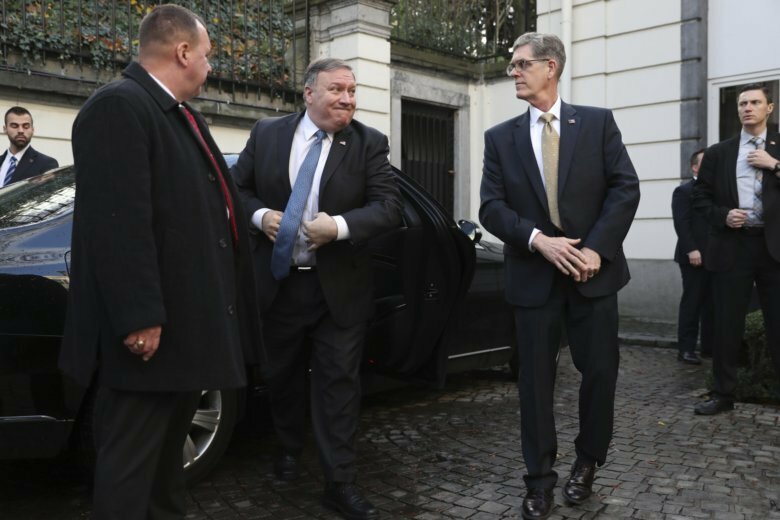 BRUSSELS (AP) — U.S. Secretary of State Mike Pompeo is taking aim at China, Iran and Russia for violating numerous treaties and multi-state agreements. Pompeo says the Trump administration is no longer willing to accept such transgressions and is acting to reform institutions that have formed the basis of the post-World War II international order. He said organizations such as the United Nations, European Union, African Union, the International Monetary Fund and World Bank have become corroded are in dire need of change. In a speech to the German Marshall Fund in Brussels on Tuesday, Pompeo said the U.S. would continue to lead by calling out “bad actors” that have exploited loopholes in these institutions for their own gain.